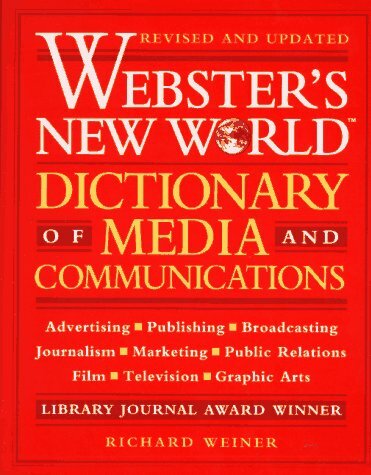 Order ‘ Webster’s New World Dictionary of Media and Communications’ by Richard Weiner, available from Amazon.com by clicking on the book cover above! During his career as the owner of a successful New York public relations firm — he launched the Cabbage Patch Kids — Richard Weiner frequently sent out memos updating his staff on the latest nuances in mediaspeak, or explaining the difference between a dingbat and a ding letter. He saved the memos, first compiling an informal booklet, then an entire dictionary of media terms and definitions. This year, the second edition of Webster’s New World Dictionary of Media and Communications (Macmillan), newly revised and updated, was published. It’s packed with 35,000 entries, including words and phrases from advertising, computers, film, journalism, marketing, printing, public relations, radio, telecommunications, television and theater. “From the moment I turned in the manuscript in 1989, I began doing revisions and adding new words,” Weiner says. Have any words become obsolete? “”Yes,” he says, “words from the letterpress printing era. They’re still used by people who don’t even know what leading and cold type look like.” As a result, Weiner left in many words that are otherwise dated references. Most entries are followed, in parentheses, by the industry of their origin. The definition of “bleeble,” for example, reads: bleeble [radio] a brief segment, such as a musical transition. 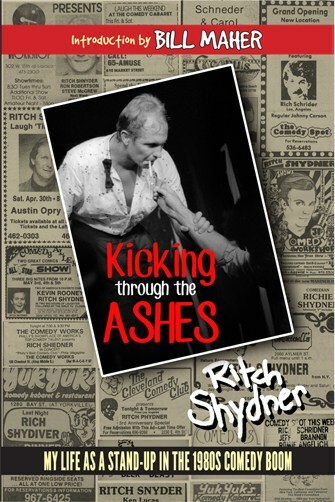 The appeal of the book is not just for media pros who need a reference book to their own industry. It’s also for folks who enjoy taking the NBC Studios tour at Rockefeller Center or the Universal Studios tour in Burbank, going behind-the-scenes into the machinery of print and electronic media. Word use varies not just from media industry to industry but within individual companies. “I think every organization probably has its own internal jargon or shorthand,” Weiner says. Recall the famous headline, “Hix Nix Stix Pix”? At the opposite extreme, the staff of the Wall Street Journal uses a great deal of jargon in the office, although rarely in print. A-hed? Weiner’s book defines it as “a headline style usually consisting of a three-line major headline and a three-line minor headline.” Okay, smart guy — use it in a sentence! “Why don’t you do an A-head on artichokes?” he says.